As workers in birth, we are increasingly supporting members in the community who identify as being queer or gender diverse. This presentation looks at increasing our capacity to provide respectful and meaningful care in an open and culturally sensitive manner, by being mindful of our language and considerate of the journey and obstacles they have taken to pregnancy and parenthood. We will also look at how we can share this information with all care providers in a manner that best supports these families. Jess is a midwife, childbirth educator, and queer mama of two primary aged kids. She has taught CBE at My Midwives Melbourne since its inception, and in 2017 she developed Melbourne's only LGBTIQ+ specific CBE. 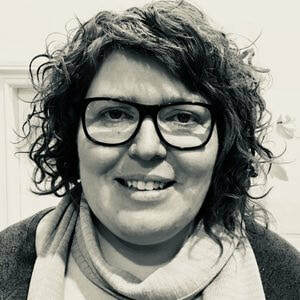 Jess enjoys delivering professional development about LGBTIQ+ families to other perinatal care professionals and is passionate about health equality, education and informed decision making.